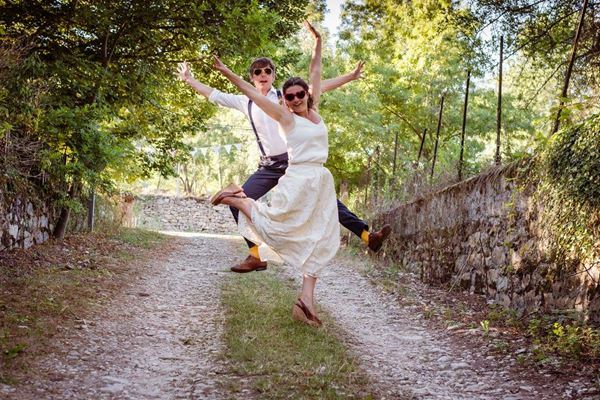 Good morning and welcome to another sunny day here at French Wedding Style. 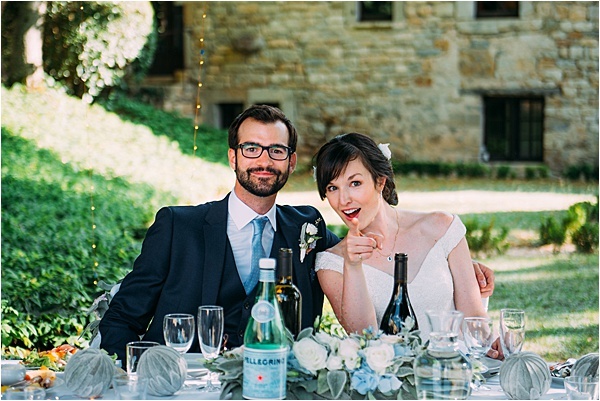 We are very excited to share with you today this dreamy real wedding in Chateau de Cas. 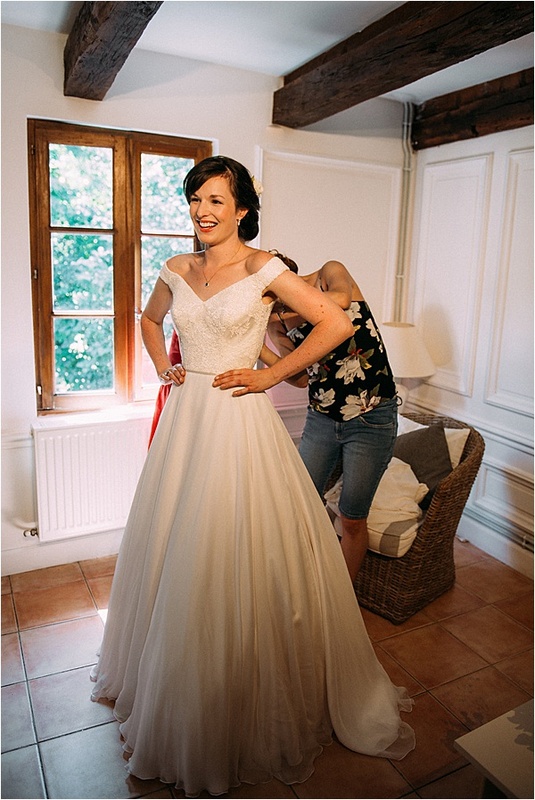 The Stephanie Allin wedding dress worn by the bride made her look so stunning during their day. 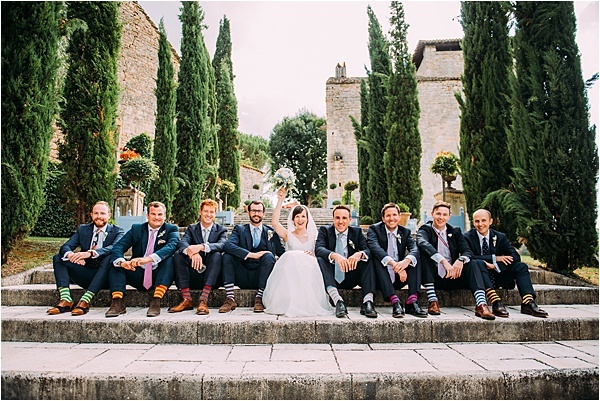 Our bride and groom planned their wedding along with the help of their wedding planner Hannah Nicolet of Noble Nuptials. 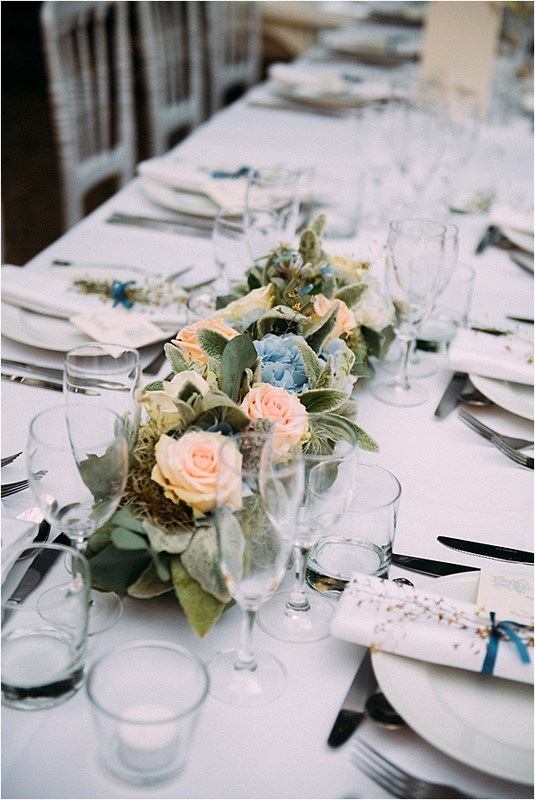 We love all the little touches of our florist Atmosfleur Creations which really show off the couples personalities. 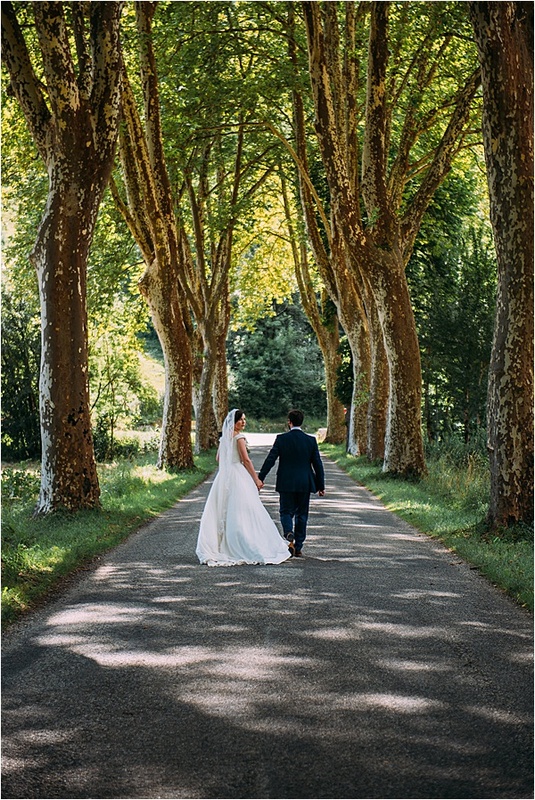 There to capture all the love, emotions and pretty details was the talented wedding photographer Tant de Poses. Now let’s give the floor to our gorgeous bride for she will be sharing with us their cute love story and how their wedding was made possible. Tom and I met while we were both working at the Royal Gwent Hospital in Newport. We were both working on the same ward and would chat on the ward and in the doctor’s mess/common room, but I thought nothing more of it. Luckily a mutual friend of ours told a white lie and suggested to Tom that I may be interested in him, so after a few drinks at a work party we had our first date penciled in. Tom proposed on the Saturday of Easter weekend of 2017. We’d planned to go to his parents’ house for the weekend. Things didn’t get off to a great start however. I was covering for any emergencies over the weekend, which normally doesn’t result in any call outs, however this weekend I had two calls and had to go into work. I was slightly confused at Tom’s frustration towards this, which now makes complete sense! Later that day, on a favourite walk on the Salisbury plains with the family dog, Pickles, Tom was calling me, but due to the wind, I didn’t hear him so kept walking on. Finally I turned around to see him on one knee, it was a complete surprise! 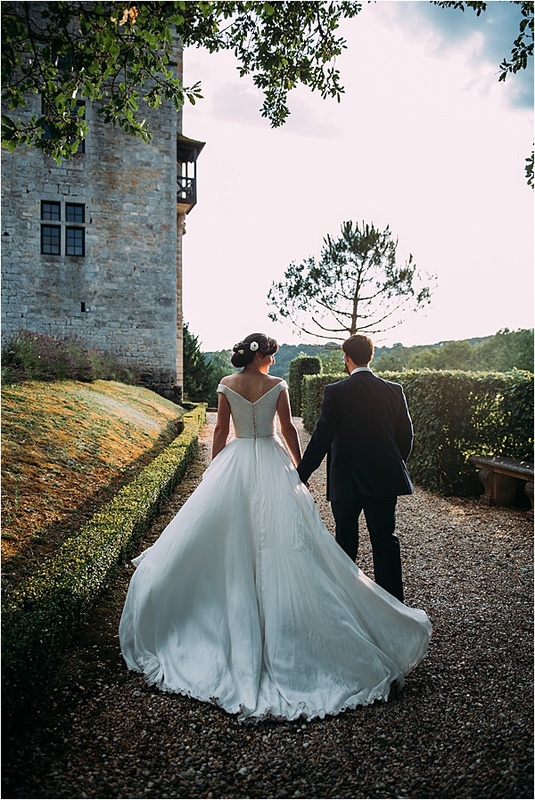 We chose France as mum lives there and Tom loved the idea of having our wedding in France where he also spent many childhood holidays. 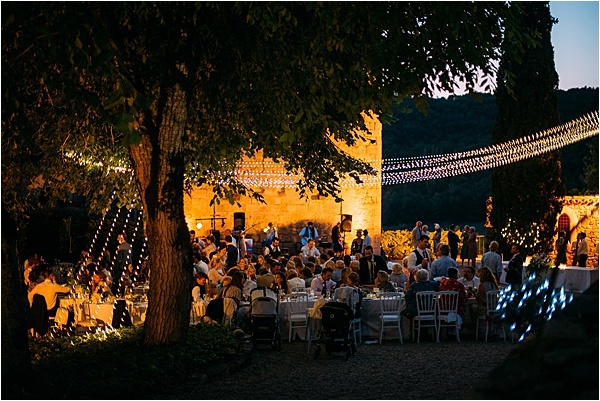 The venue was an easy decision, it was conveniently located a few Km’s from the church and also near St Antonin Noble Val where there was plenty of accommodation and things to do for our guests. It is also beautiful and located on a hill with lovely views. It immediately felt very special. 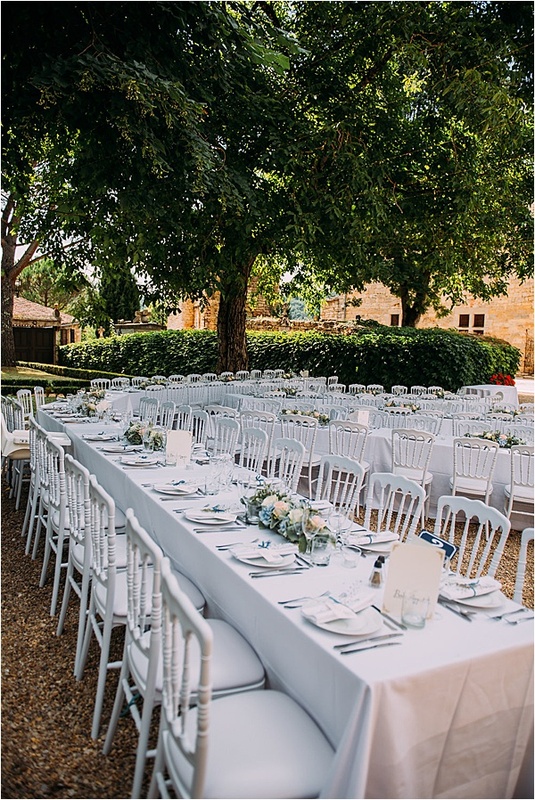 One thing I love about going to France in the summer is eating outside and Chateau de Cas had plenty of flexible space which would mean we could eat outside under the shade from the trees. 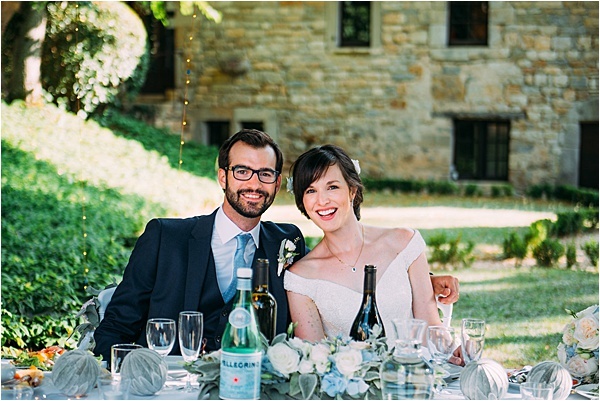 My only real rule for our wedding was “no bunting,” I didn’t want anything too rustic. 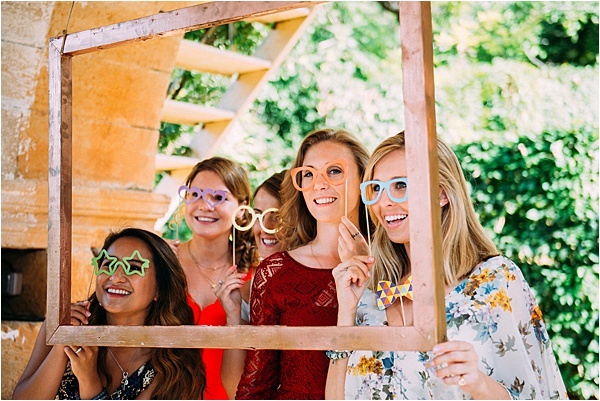 I had never really thought what type of wedding I’d want and with so much inspiration from magazines, Pinterest and blogs it was difficult to decide. 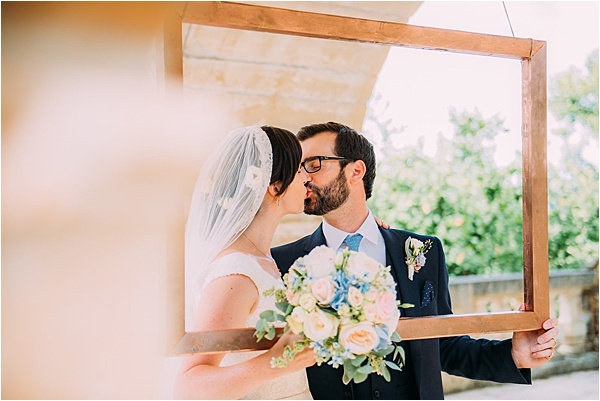 I found that I used the venue for ideas; I picked out the blue from the wooden planters, door and shutters at the venue as a colour scheme. 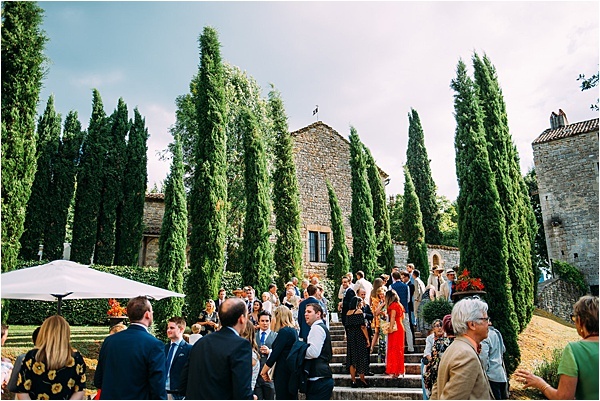 The venue also felt very romantic as was the style of my dress and I feel this influenced my choices. French wedding style was very useful, I followed them on Instagram too, France seems to lend itself to a romantic wedding, and I found an abundance of inspiration from the blog. 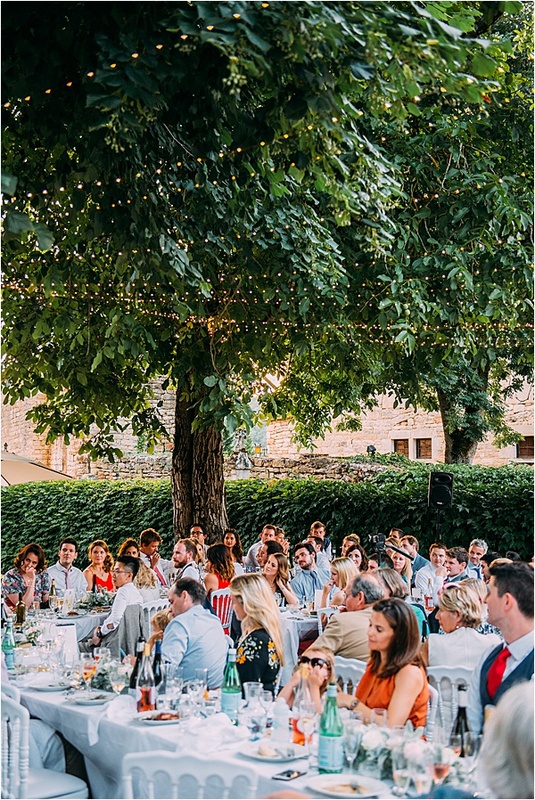 Everyone always associates France with good food and wine, so this was also important to us and with the help of Hannah and the caterers, a fantastic menu was devised. Overall I wanted it to feel relaxed (which is easy in this part of France!) elegant and romantic. 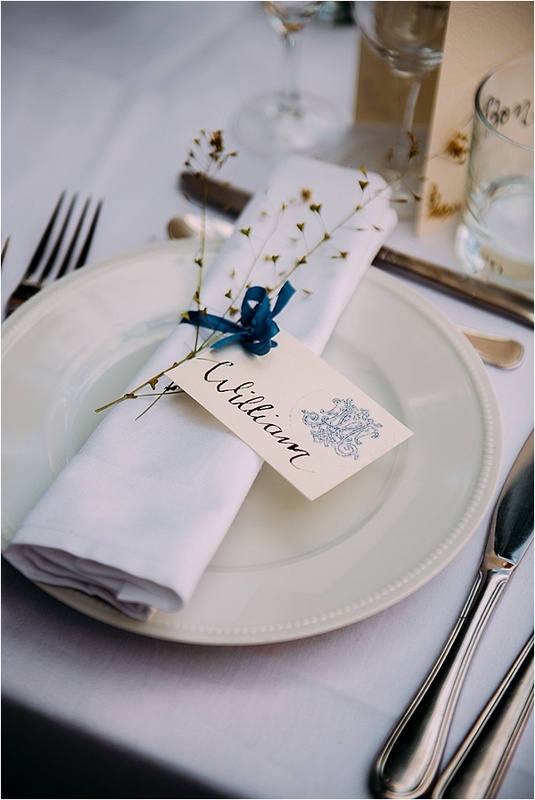 We also wanted to include a few French and personal touches, such as the blue and white house numbers for the tables and I hand wrote the name places which were embossed with our initials. 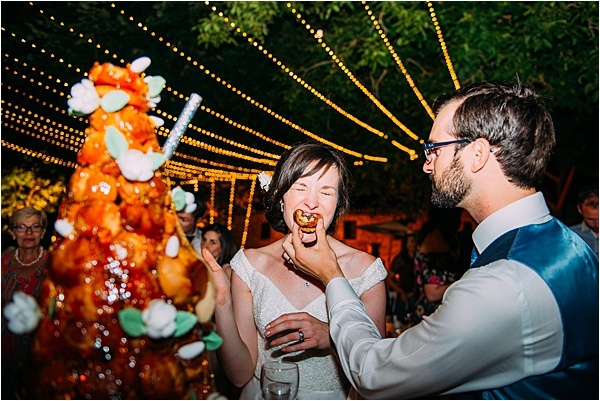 We had the most amazing Croquembouche instead of a cake, a crepe van in the evening and Tom and I picked our favourite cheese as part of the cheese platter. Our top table was just the two of us, which was an idea we pinched from a friend’s wedding. This gave us the perfect opportunity to reflect on the day so far and the way Hannah had placed the tables meant we could see everyone, which was a lovely touch and great fun watching our friends and family enjoying themselves. Hannah also had lots of ideas and a wealth of experience. 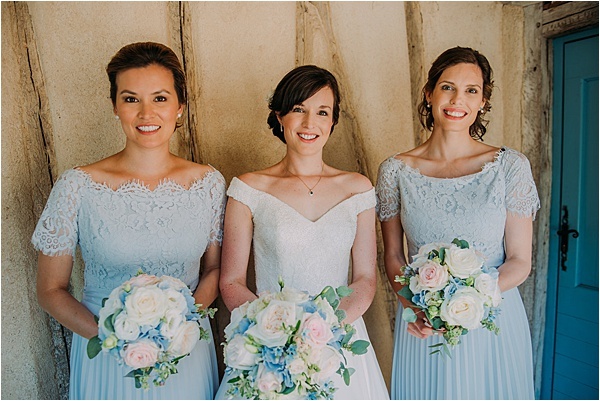 Hannah helped enormously when it came to choosing suppliers, and what would fit our wedding and our budget, and having had worked with all of the suppliers really helped in planning our wedding. We were happy to be guided by her from her previous experiences and trusted her opinions and ideas. 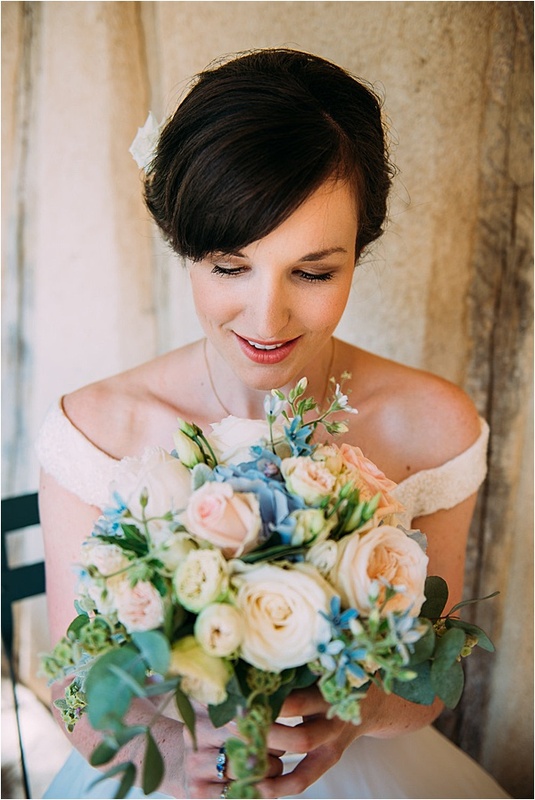 I had met the florist from Atmosfleur Creations a few times and she did the flowers for my brother’s wedding a few years ago so I had no doubt that they would look absolutely amazing, she is very creative and versatile and understood exactly what I wanted and what would work with the heat and for the venue. I couldn’t have been happier. My brother and his wife also used Melanie as their photographer so I was confident in choosing her and knew we’d get great photos. 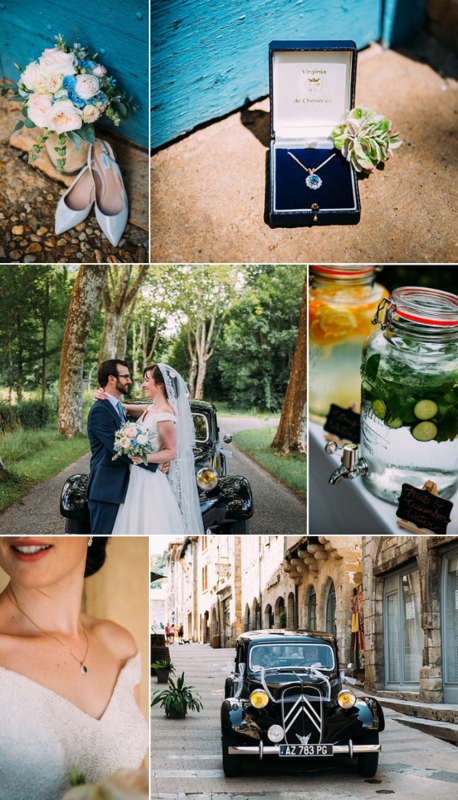 We tried to use local suppliers and chose wine from vineyards nearby in Gaillac, cheese from the local market and independent printers near our home in Somerset for the stationery. 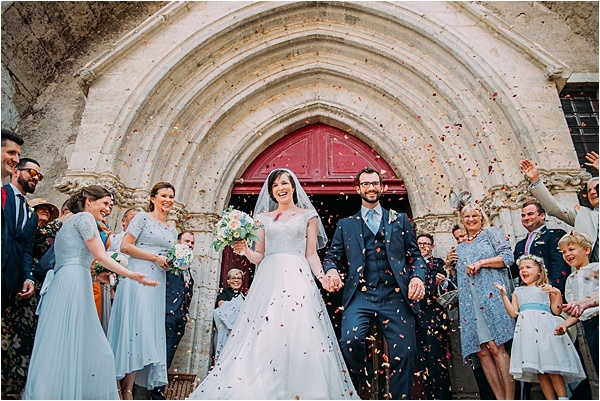 We both wanted a church wedding so to do this and legally marry we had the civil ceremony a few days before with just immediate family and then a blessing on the day which was taken by a family friend of Tom’s family who’s a vicar. We had a local choir sing who are made up of some of mum’s friends, one of the songs was a Welsh love song of which I’m familiar with from growing up on Anglesey. The Choir were outstanding and made it feel very special. After the service and confetti (rose petals form our garden that we’d dried) throwing, we were escorted to the chateau in a classic Citroen, while our gets followed behind on buses. 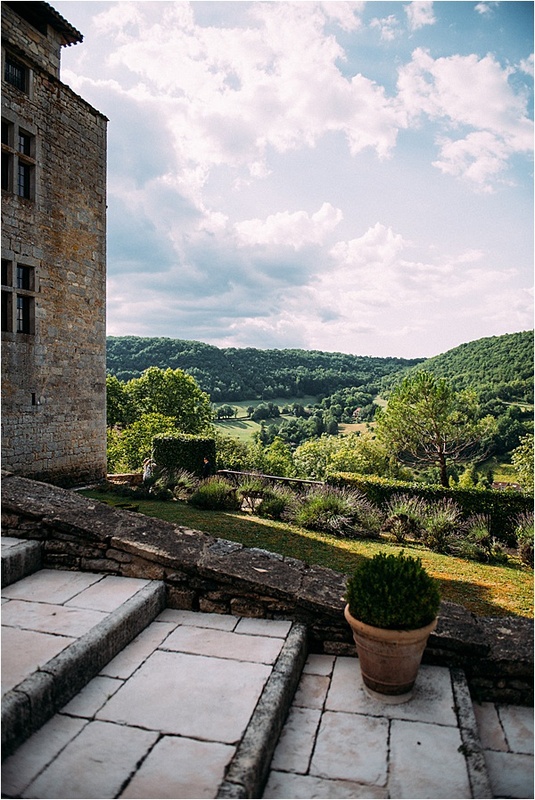 Once at Chateau de Cas, I was awestruck with how beautiful it looked. 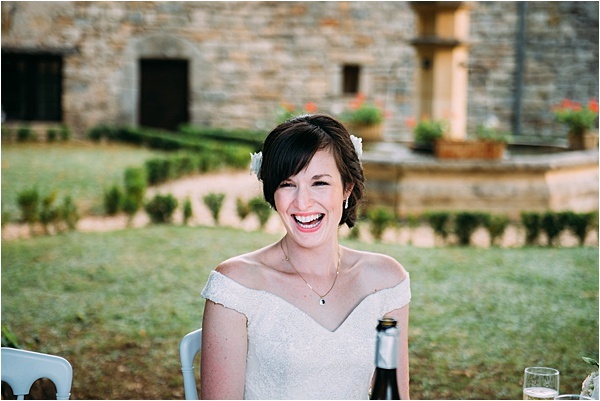 Hannah had been working away to make it perfect and completely exceeded all expectations. 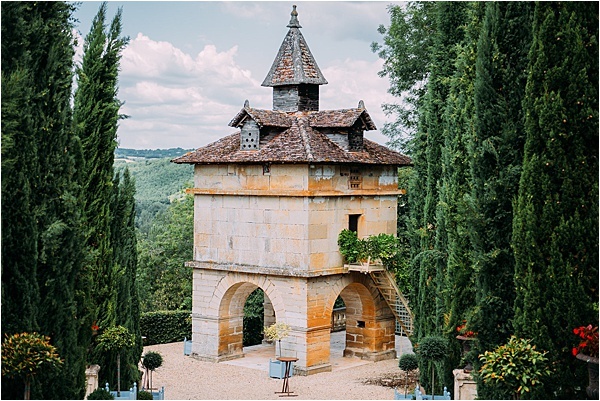 We had our drinks reception down by the Pigionnier where there are panoramic views across the countryside and we’d set up a Polaroid camera for guest to take snaps of each other. Tom is a huge cricket fan and it didn’t escape the wedding with a signed picture of one of his favourite commentators wishing us all the best! After some group and individual photos, we sat down in the courtyard under the shade of the trees for our meal. We chose a family style dining starter, a mix of fresh salads and delicious smoked salmon and prawns, there was enough choice to please any taste and it was perfect for the hot weather. After a trou normand, we tucked into the duck main, followed by cheese, including our favourite cheese (Comte and Goats cheese from a nearby farm) with a slab of membrillo (another favourite of mine) and a sweet pepper relish I made from a family recipe. By now it was getting dark but the chateau was lit up and we had a canopy of fairy lights over our heads which just added to the romantic feel. 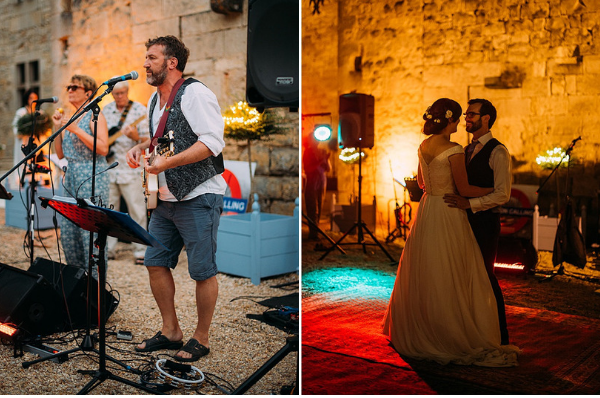 The band had started and we had our first dance outside under the fairylgihts on old Persian rugs that had been placed on the gravel as a dance floor (another great idea of Hannah’s). The crepe van arrived which was an enormous hit with everyone. 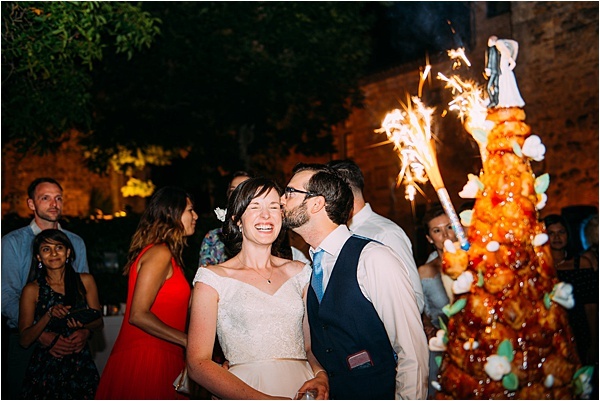 And as if we hadn’t had enough to eat, to top it all off we had the most amazing croquembouche alight with sparklers, a real spectacle and delicious! The night finished with a “disco” in the barn and Tom and I stayed in the beautiful ensuite room in the Pigionnier. The perfect ending to a perfect day. 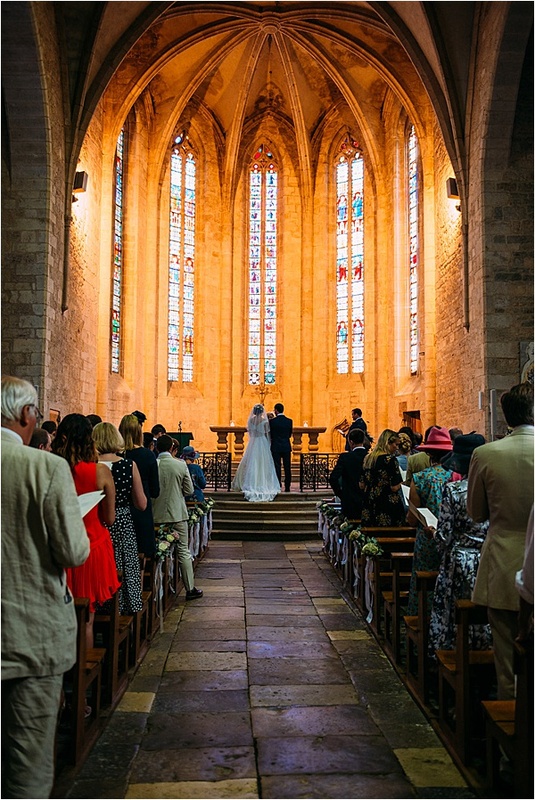 The legal marriage in the Mairie proved tricky and we almost lost all hope. The procedure can vary from town to town and it seemed to be one hurdle after another. Luckily we finally ticked all the boxes and had a civil service there but this did add to the stress. Hannah provided us with everything we’d need and a timeline which really helped. 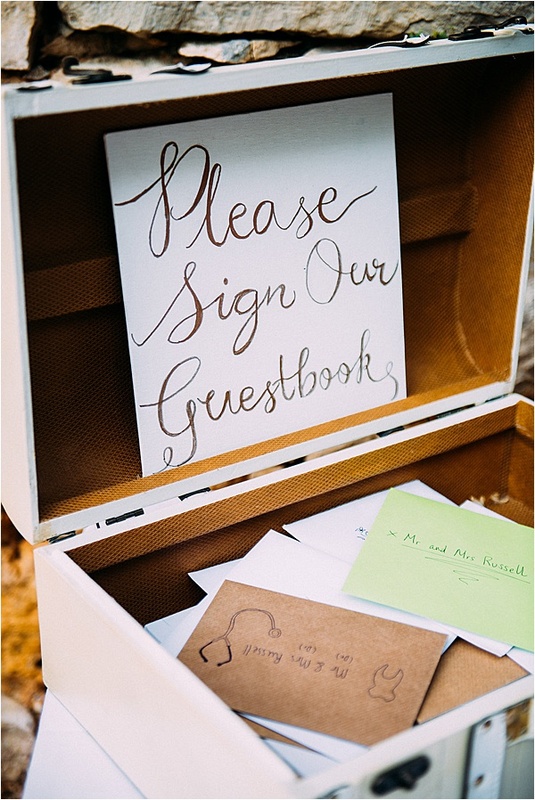 Getting married abroad can be more of an expense to your guests, therefore we ensured we gave people as much notice as possible, informed guests when flights were available and gave as much information as possible. 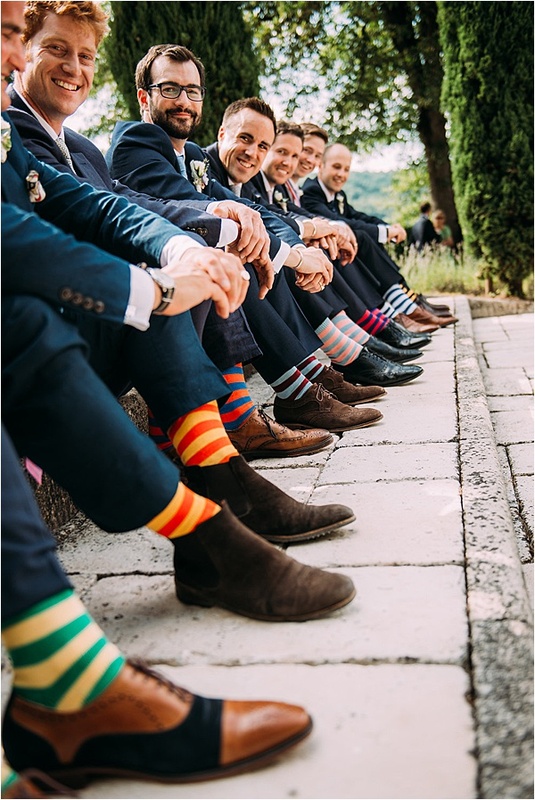 As a lot of holiday lets are for a week in peak season and from Saturday –Saturday, we decided to have our wedding on a Sunday, this made it easier for those coming for a whole week. 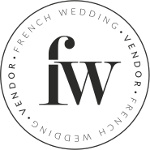 Best advice – have a wedding planner! Check out your local independent printers for your stationary, we saved lots by not going through the bigger “wedding stationary” brands online. For our honeymoon we went to Japan. We waited until November so we’d be there for the autumn leaves. We had the best time in Japan, exploring the old and the new, eating delicious food (some so fresh it was still moving!) and soaking in the atmosphere and culture.